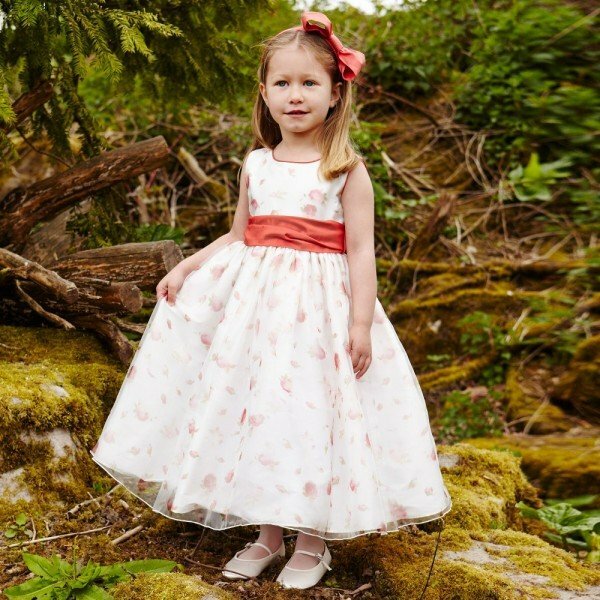 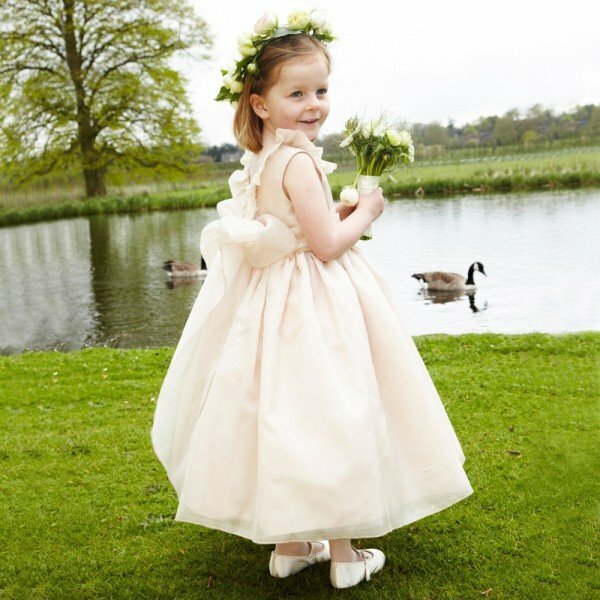 She'll look stunning in this beautiful fairy tale dress by UK designer Nicki Macfarlane. 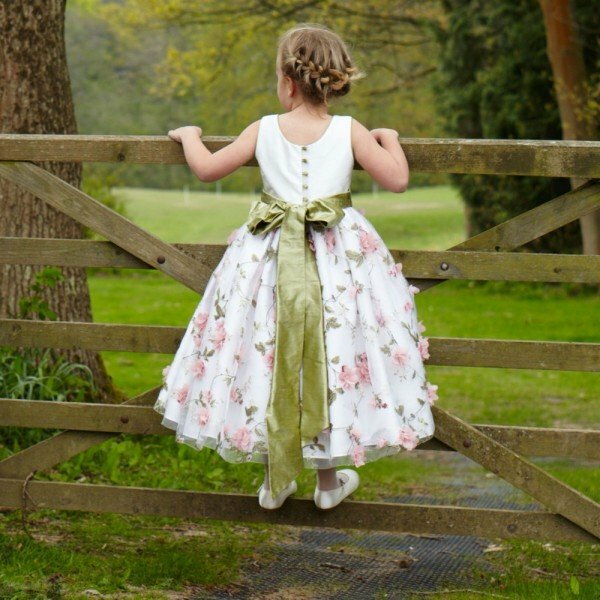 Designed in a ballerina length featuring full skirt with a willow green silk waist sash that ties in a large bow at the back. 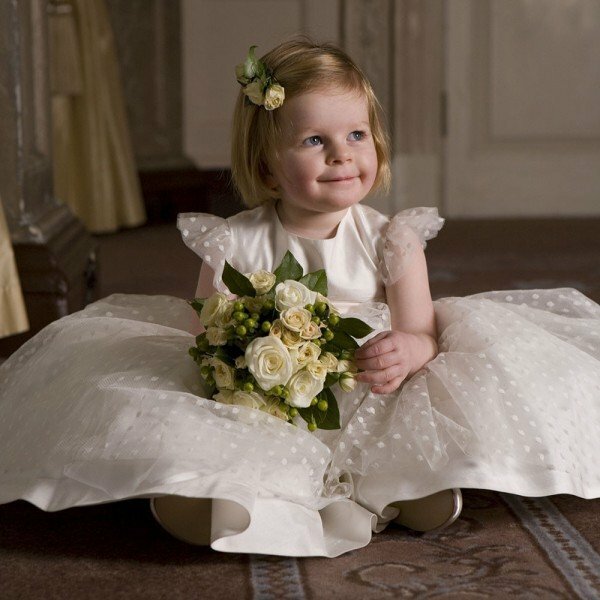 Nicki Macfarlane is famous for her bridesmaid dresses and designed the elegant dresses worn by the bridesmaids at the Royal Wedding of HRH The Duke and Duchess of Cambridge.